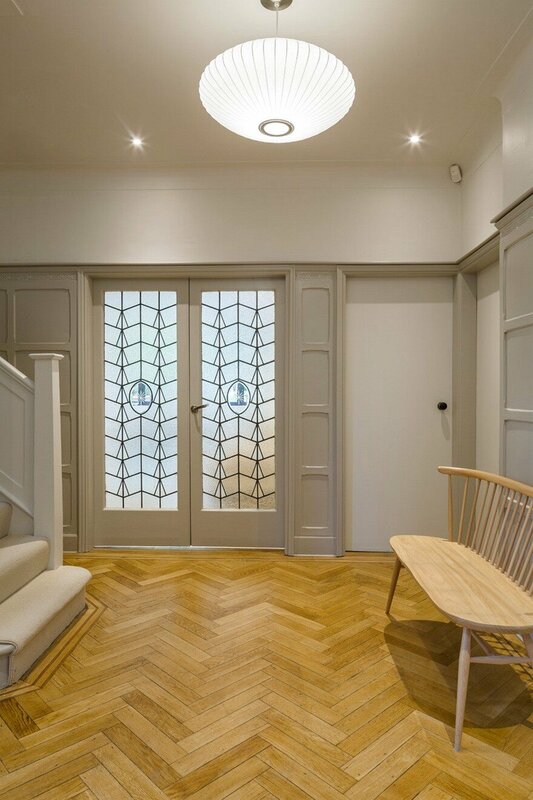 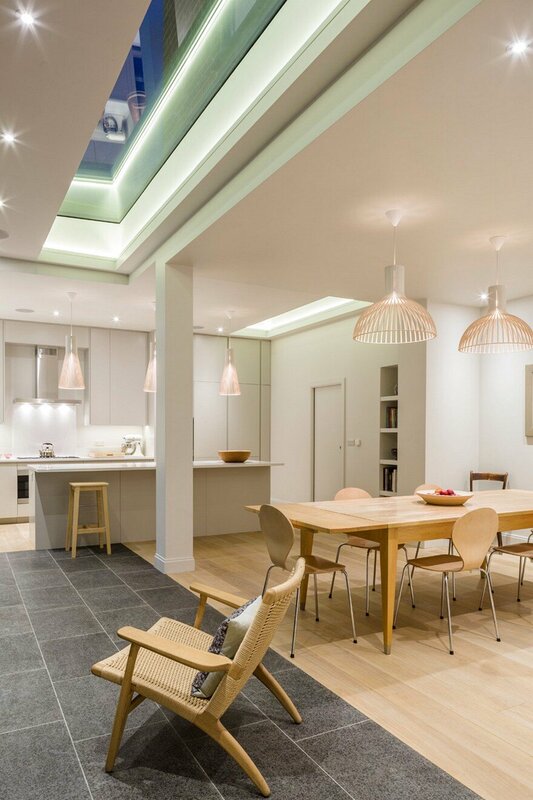 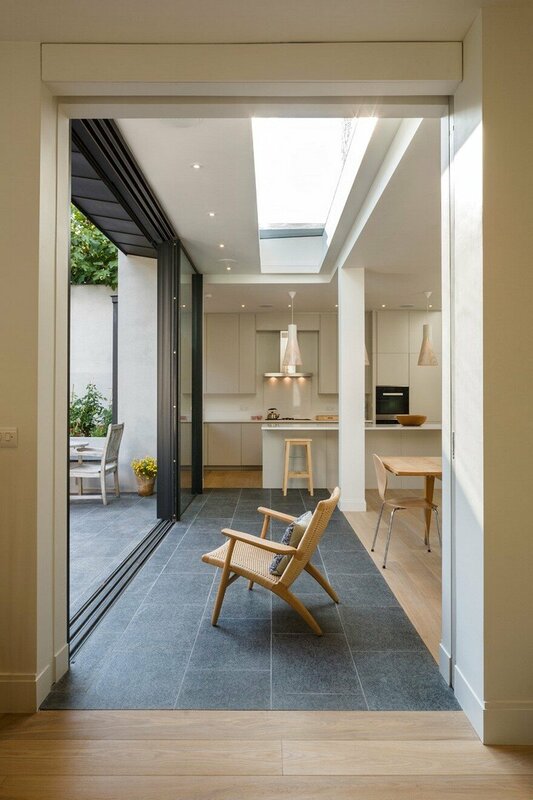 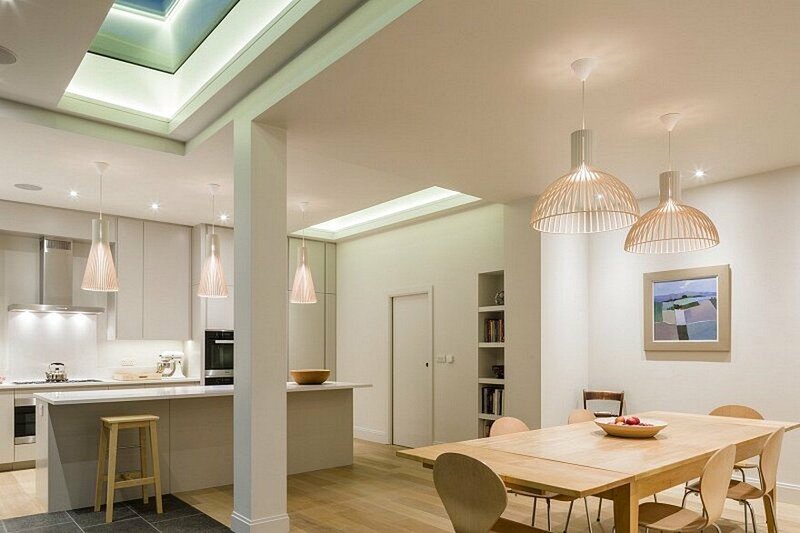 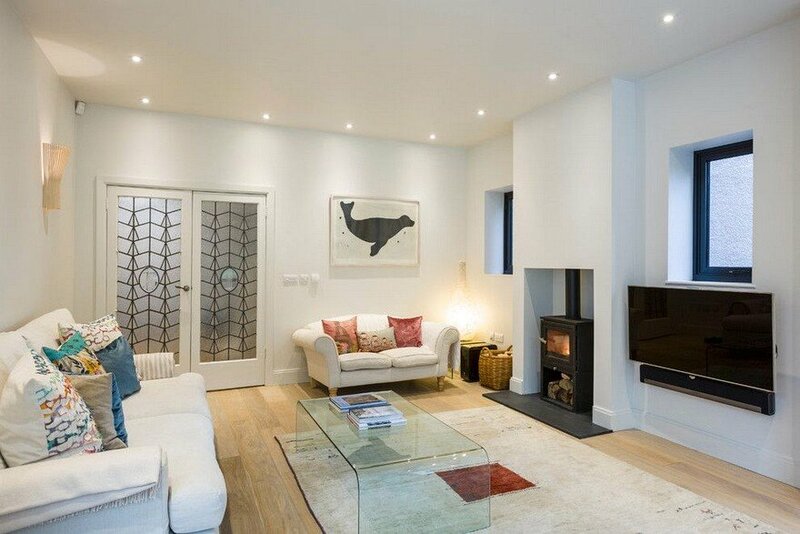 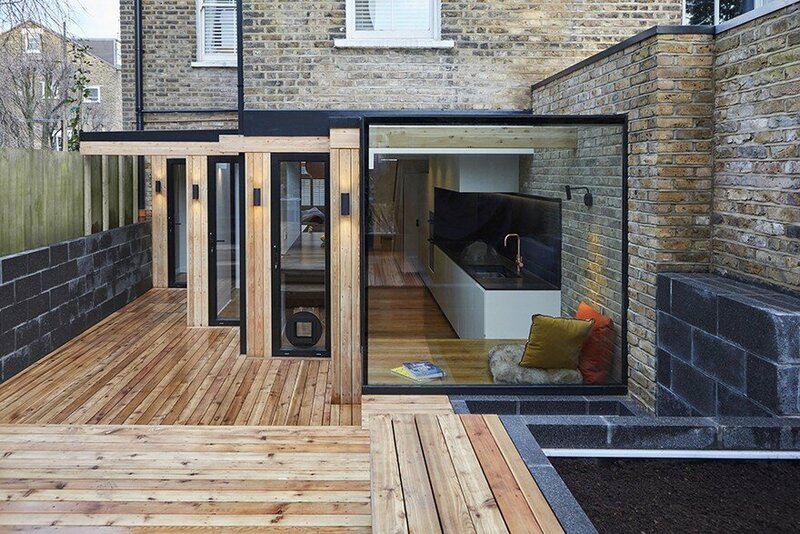 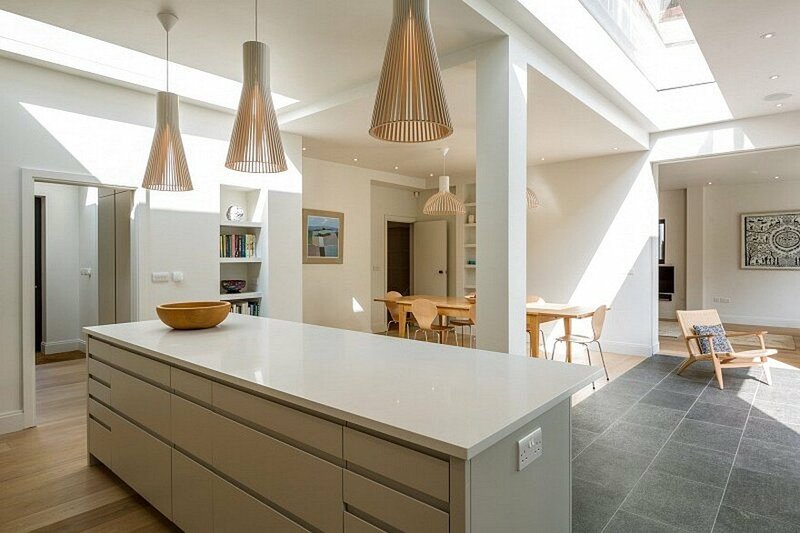 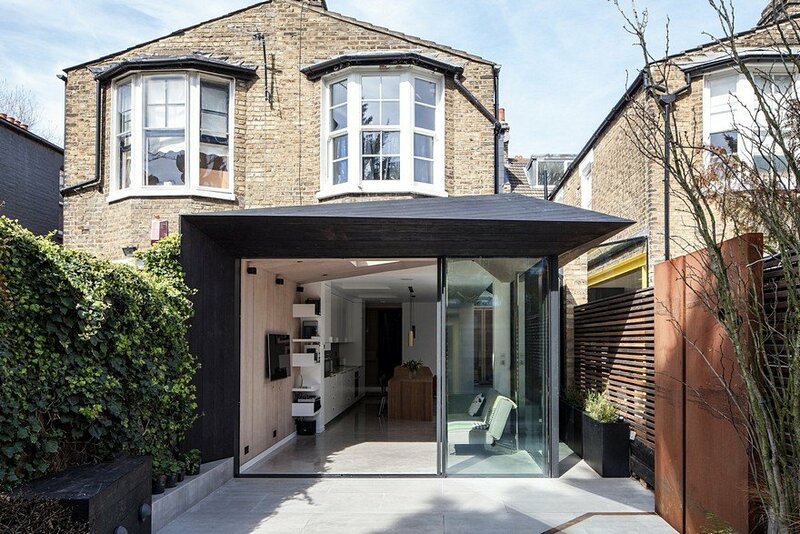 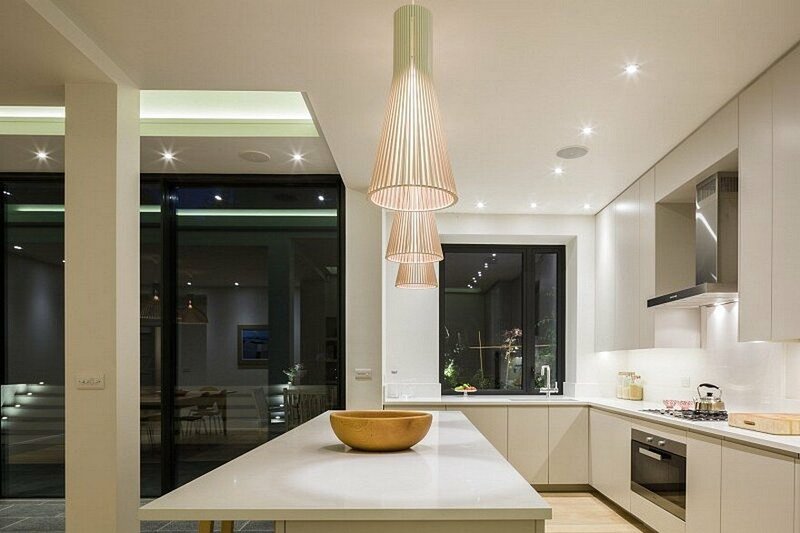 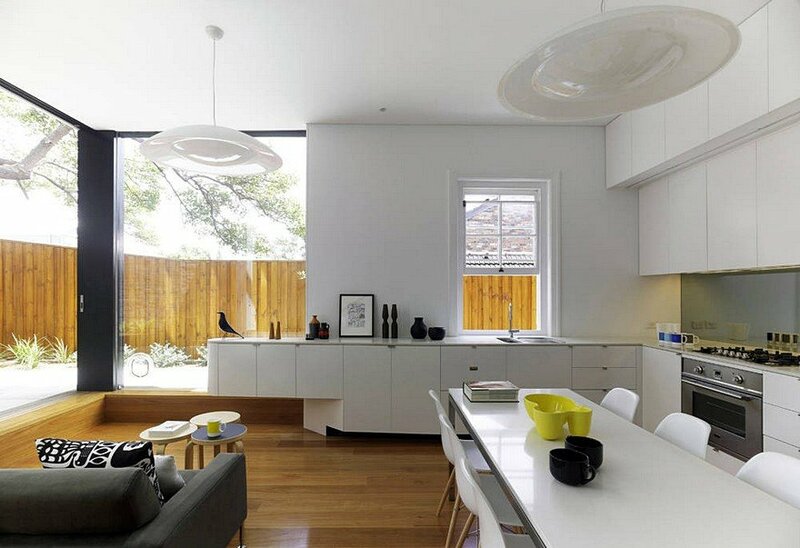 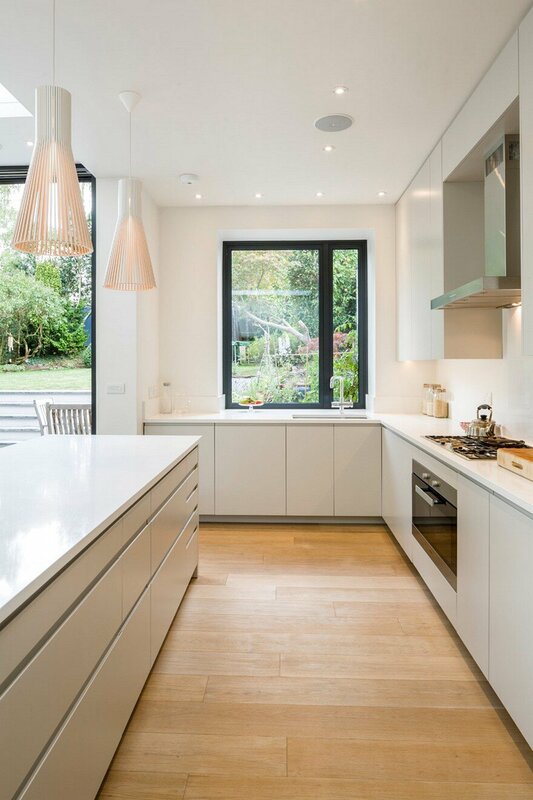 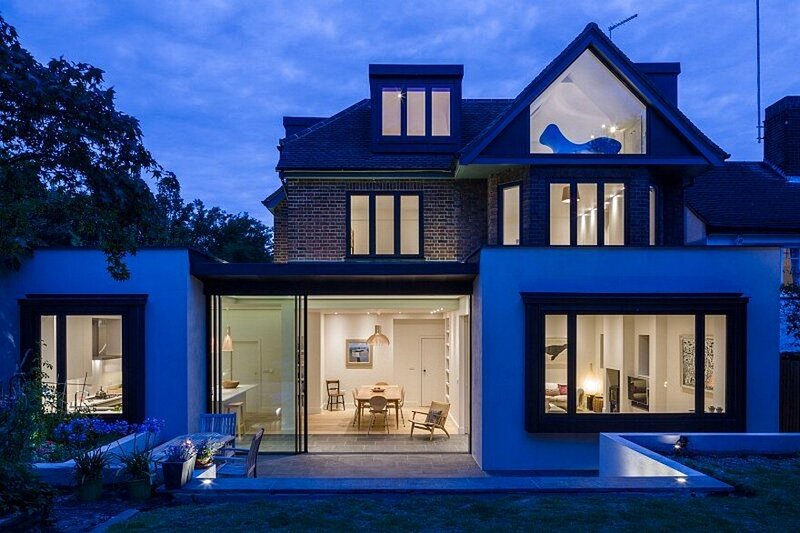 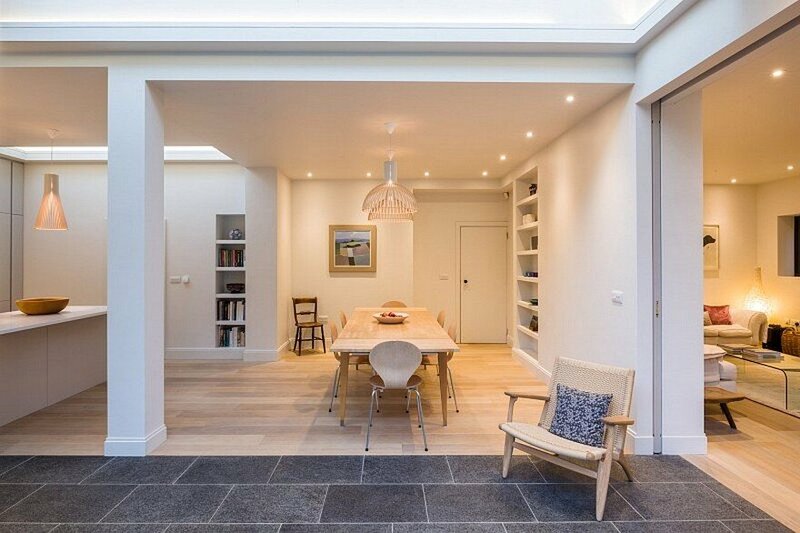 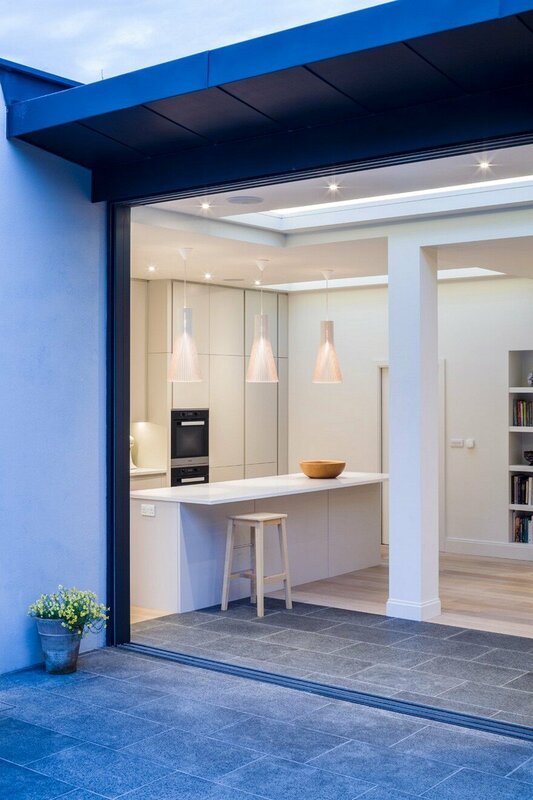 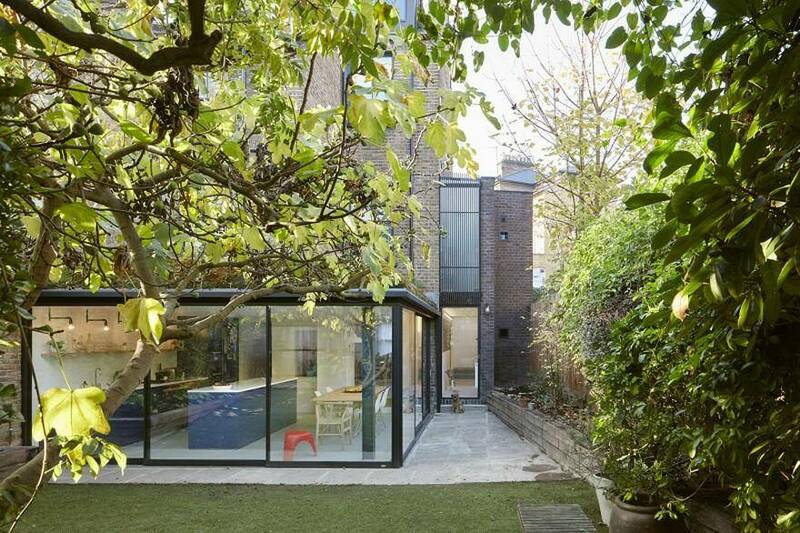 Jones Associates Architects have completed Muswell Hill House, an extension project to a 1930s house in North London. 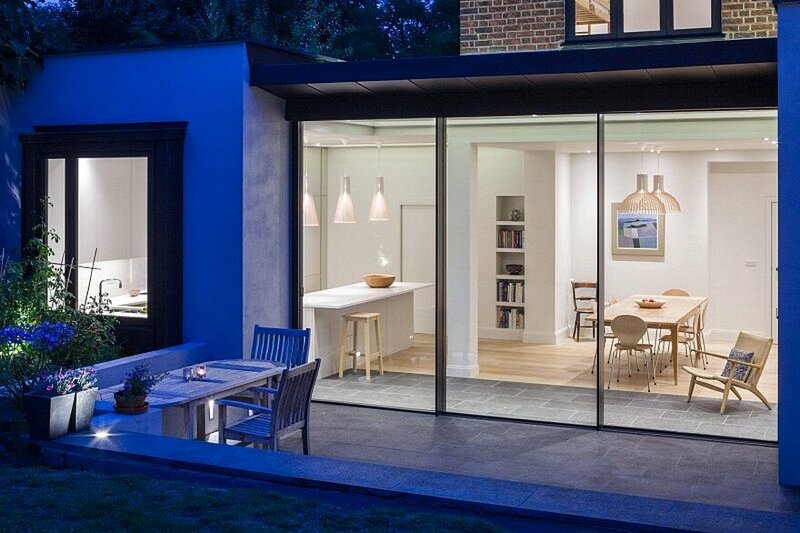 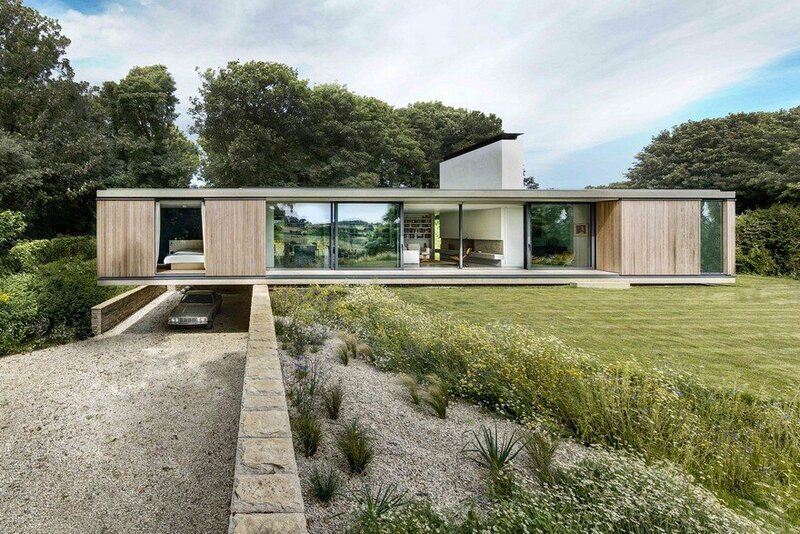 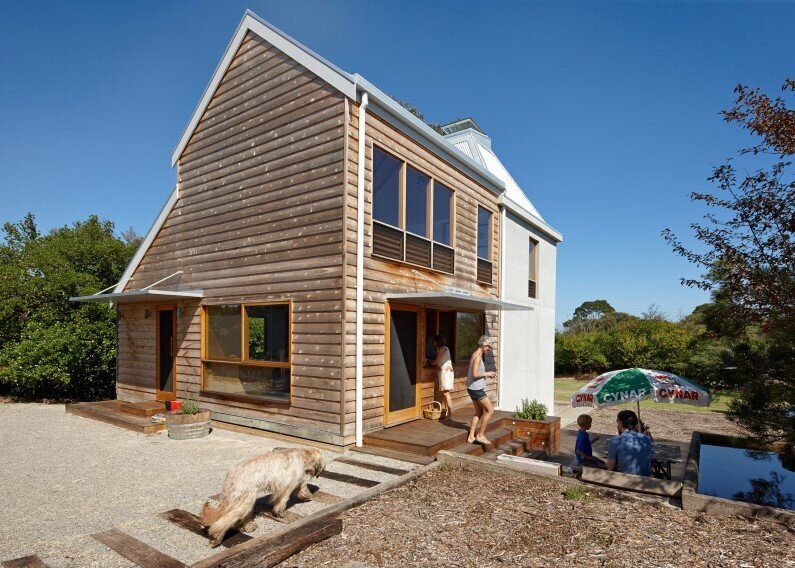 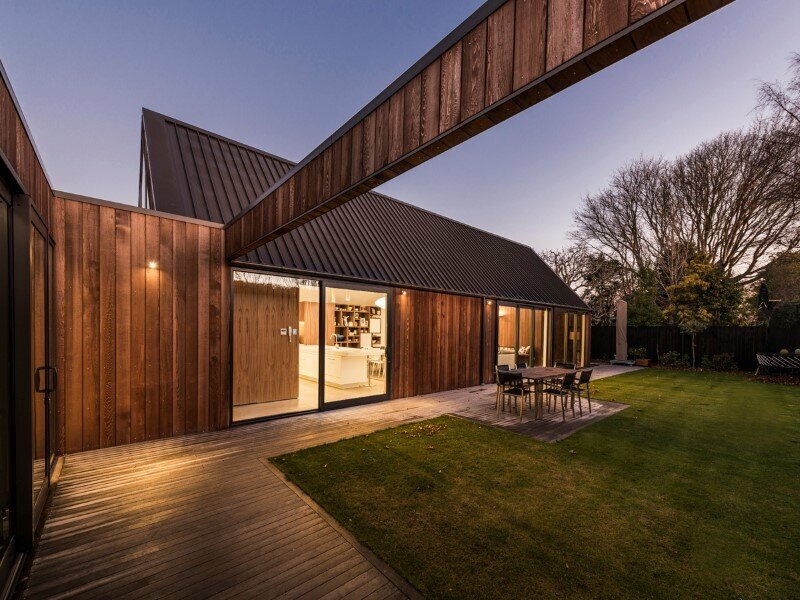 The ground floor was substantially extended and reconfigured to create a series of dynamic living spaces oriented towards the large, south-facing garden. 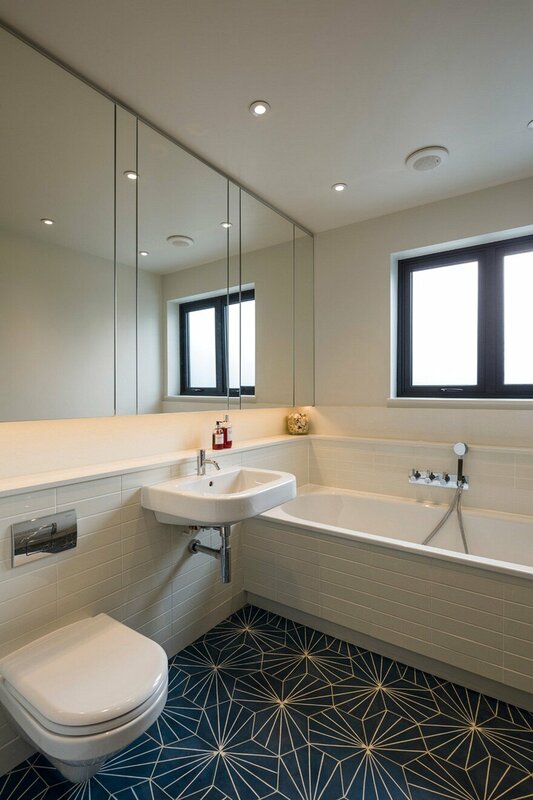 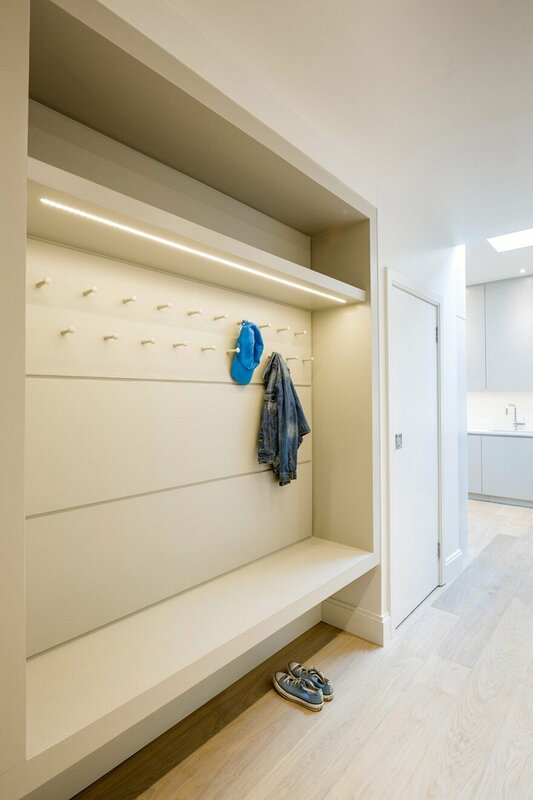 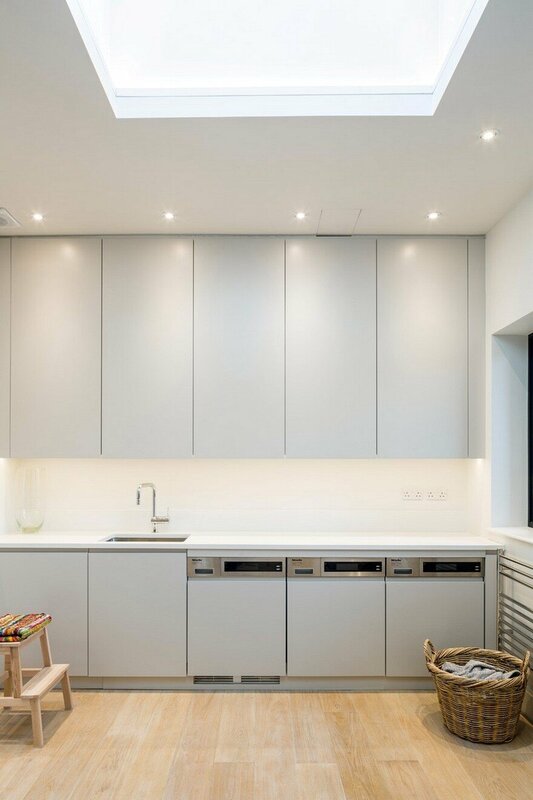 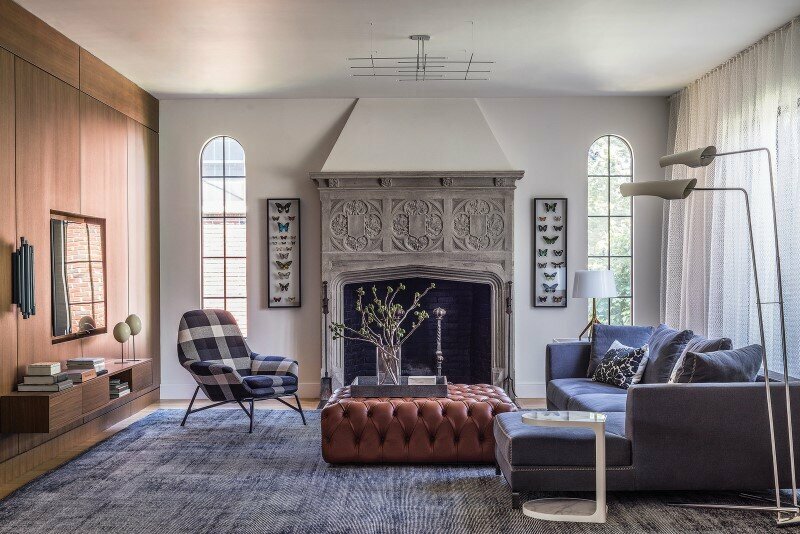 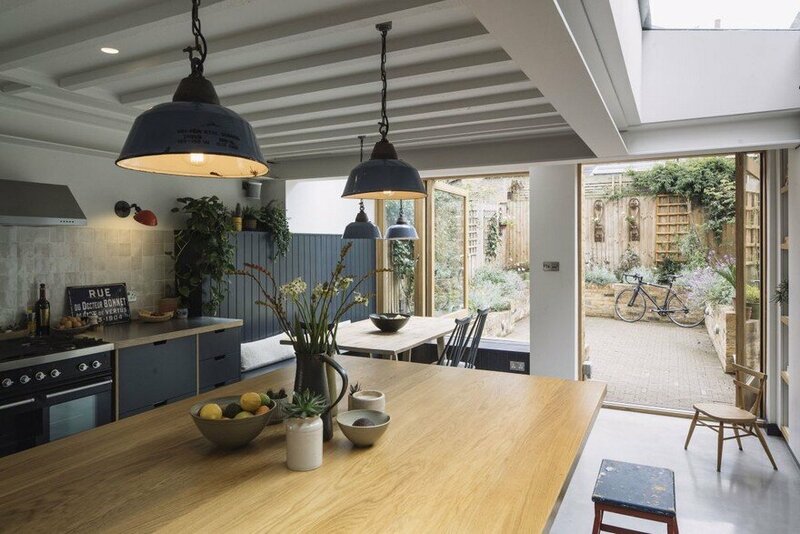 The whole house was entirely refurbished and refitted, while the roof was reconstructed and extended to provide two additional bedrooms and a bathroom. 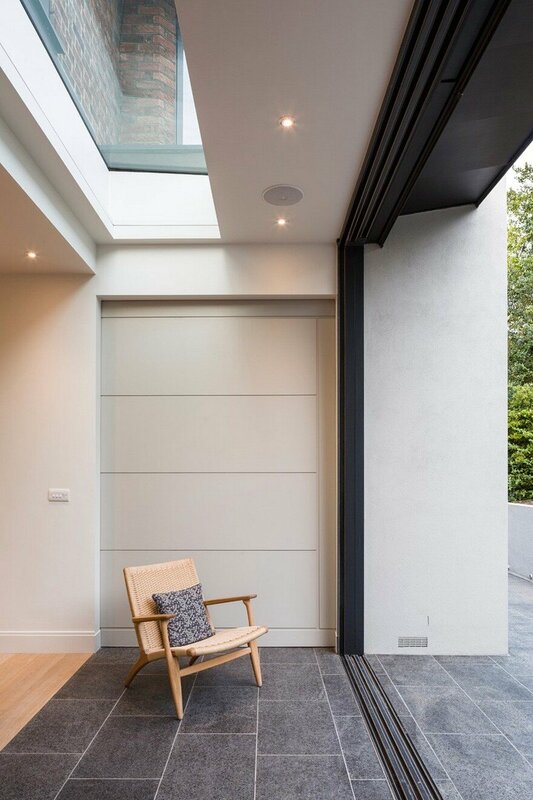 A palette of new materials – pre-weathered zinc sheet, Welsh slate copings, sedum green roofing and basalt paving – complement the original red brickwork and tiles.